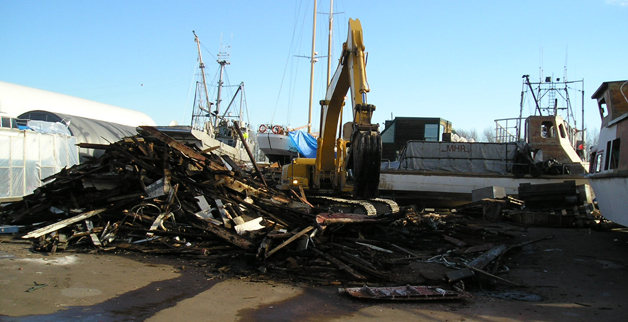 The recently launched boat recycling program at Shelter Island Marina has helped to gain us a 4 Anchor Eco Marina Rating with the Clean Marine BC program. 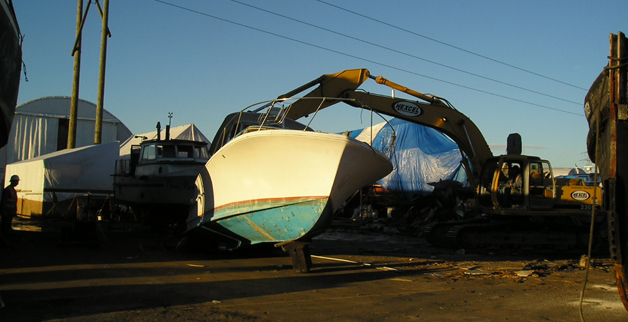 When boats are recycled , hazardous materials such as gasoline, diesel, heavy fuels, lubricating oils, battery acids and paints containing lead or copper are removed. 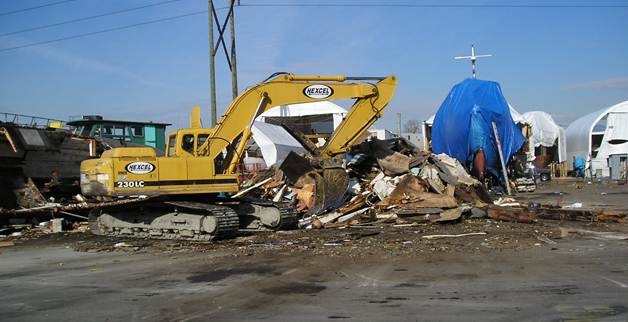 During the preparation process, Our 4,000-litre tanks collect waste water to be stored, treated and reused for various jobs such as pressure washing. 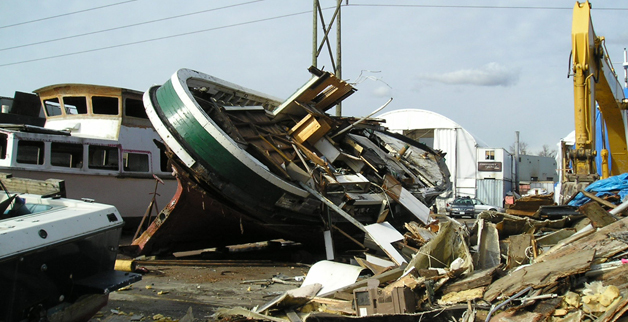 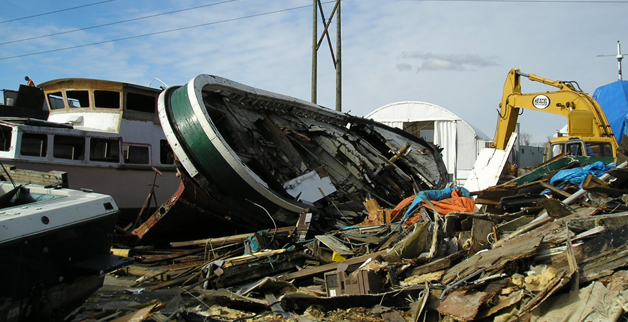 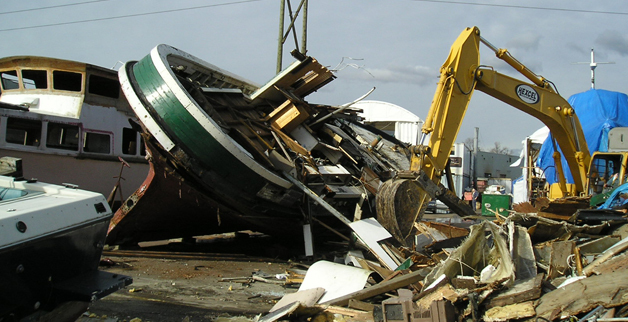 We're capable of hauling boats up to 150 feet and 220 tons into our yard to be wrecked for recycling. 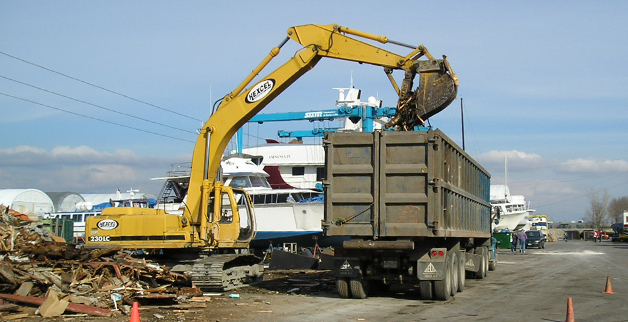 To schedule a vessel to be recycled at Shelter Island Marina & Boatyard Inc. please contact our offices.